Have you ever wished to play your mobile games on a bigger screen? So if you have always imagined playing your mobile games on your PC this article is for you. 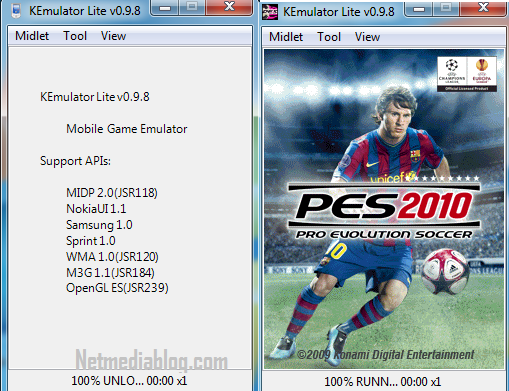 Whether you are an iOS, Android, Symbian, Blackberry, Windows Phone 7, Sony Ericsson user, there is an emulator for you. Check out the list of emulators/simulators here. Most mobile games are .jar/.jad and if you try running it on PC it won’t execute since Windows don’t support running .jar/.jad file directly on it. You can only run such applications on a PC with the help of an emulator/simulator. So whether the mobile game is .apk or .jar the process is same. The emulator/simulator will create a similar environment for the games to play on PC like it was a phone. For the purpose of this article I will concentrate on how to play java (.jar) mobile games on PC using emulators. The process is same for the other types of games/applications with their specific emulators/simulators. So if you want to play an iOS game on PC, simply download and run the iOS emulator/simulator and same for Android as well. Then run and install the Java RunTime Environment on your PC, on successful installation unzip the Kemulator you downloaded and click on the “Kemulator.exe” to launch the emulator. Go to Menu » View » Options and then Custom tab, change the settings to your desired screen size and save. Now go to Midlet » Load jar and locate the .jar file you want to play and select it, the game will then load and you can start to play. 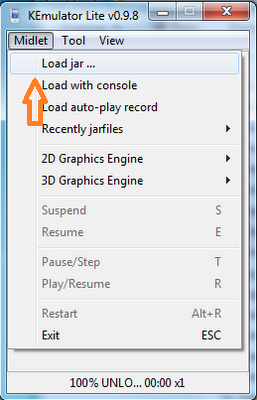 Note: You can use this method to run any .jar application on your PC; it’s not just for games alone. You can use Migg33, Asphalt 7, Fifa Manager, Real Football, Nimbuzz, ebuddy, Opera Mini etc on your PC using this same method. Now i hope you can be able to play your favorite mobile phone games on your PC, enjoy your games and apps on a wider screen using the method described here. If you find this post interesting, share it with your friends. Remember to subscribe to my RSS feeds using the subscription box below. Let me hear what you think about this post, use the comment for below to share with me. This is interesting Nwosu, thanks for sharing gaming stuff!